Today’s photo:Gironde Carrelet at dusk. 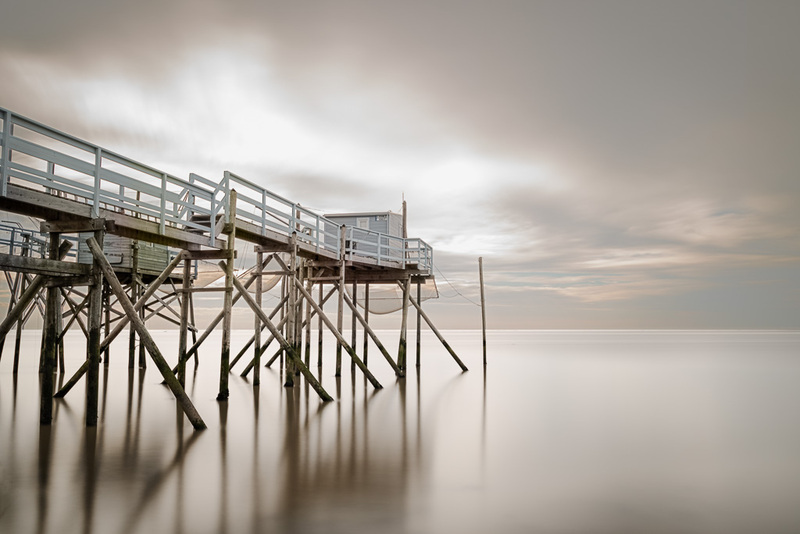 An evening long exposure shot around sunset, of one of the iconic fishing jetties, or ‘Carrelets’ on the banks of the Gironde. This lovely river flows into Bordeaux, and flanks some of the most famous locations in French wine. It is also home to little fish, rather like Whitebait, which the fishermen collect by raising and lowering nets from these jetties. You can get a plate of these, freshly fried at restaurants up and down the estuary – perfect for lunch after a morning’s shooting.